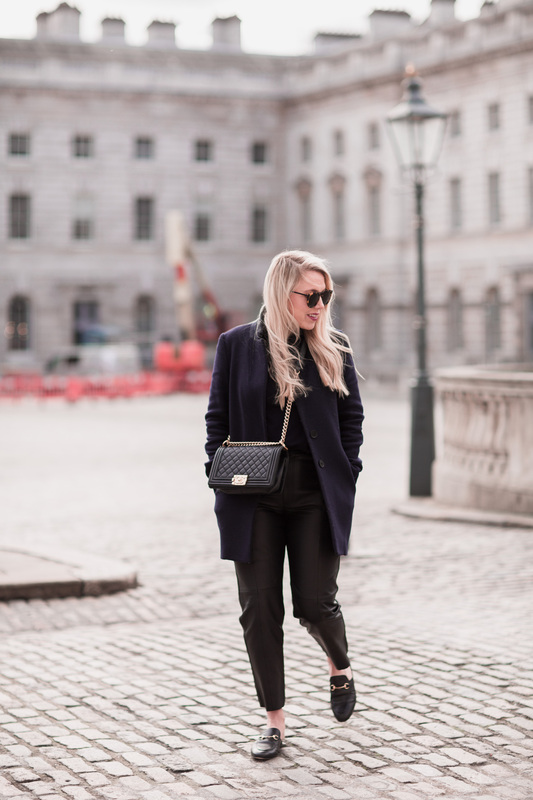 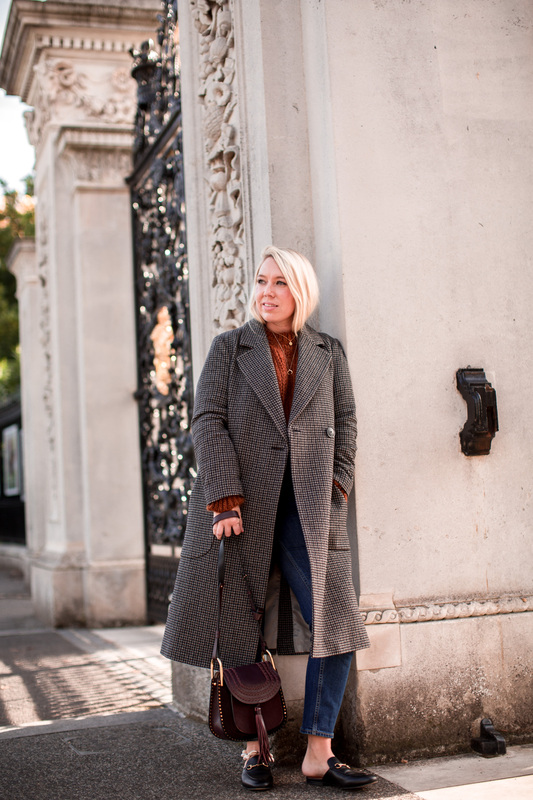 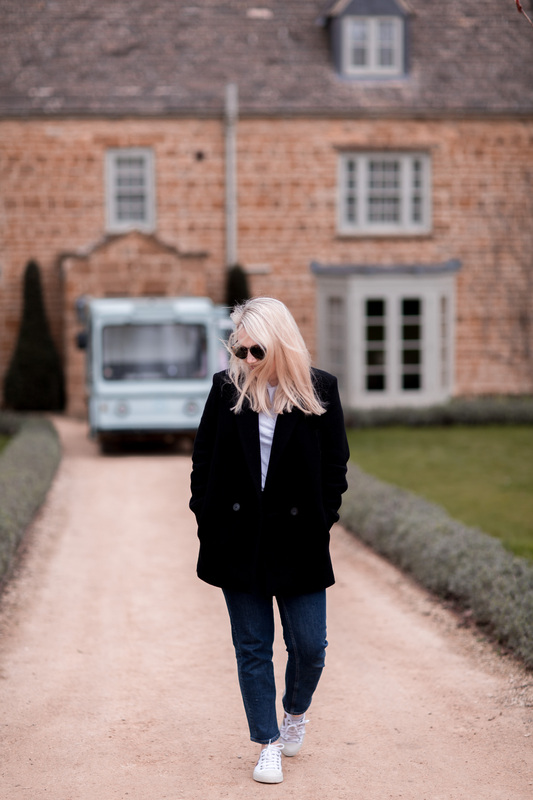 Following on from my last post all about dressing for confidence (if you missed it, I discussed how the power suit can help give you that inner esteem and outer confidence to tackle any challenging work situation), I wanted to focus a little more on the emotion behind confidence and in turn dressing for confidence. 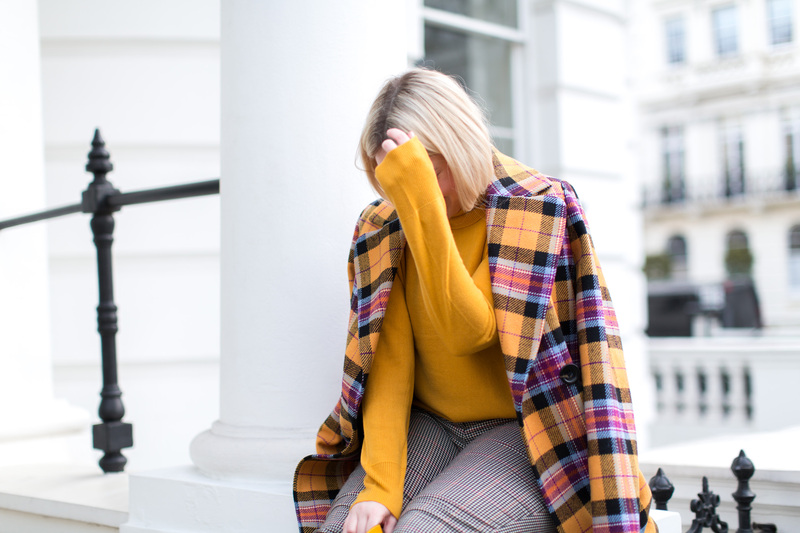 When we get dressed in the morning, the clothes we choose to wear often reflect how we feel, when we’re tired we opt for oversized comfort pieces, when we’re nervous perhaps we over dress or opt for our ‘Sunday bests’, when we’re happy we may choose bold, statement pieces and when we’re sad we probably don’t know where to start. 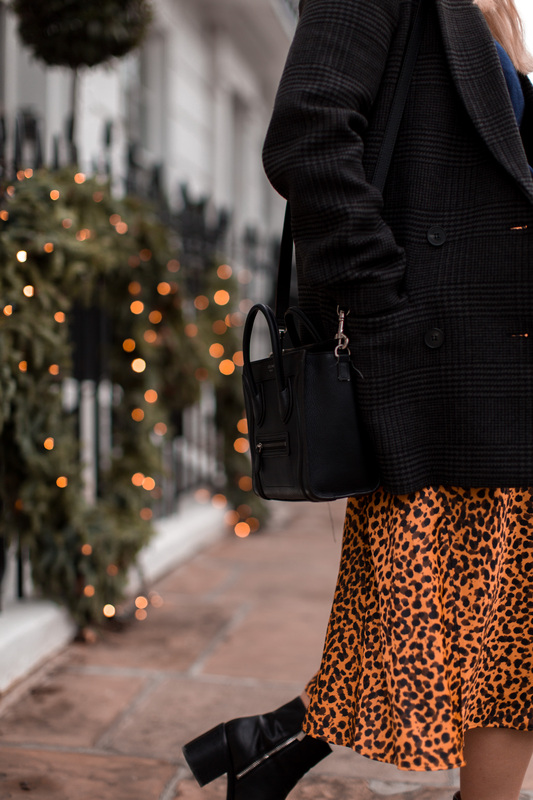 But the thing with clothing and dressing for confidence, is that regardless of how we feel when we wake up and get dressed, our outfit has the power to change that if we choose it wisely. 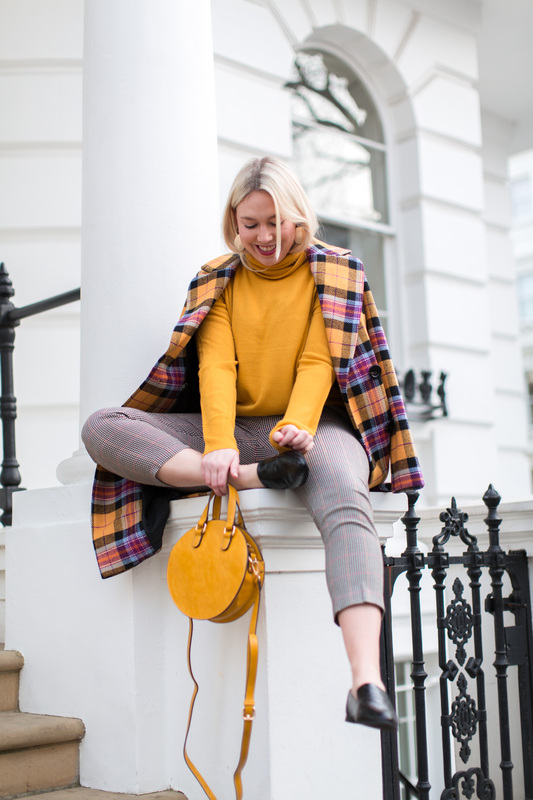 Colour is a fantastic tool in our wardrobe, not just to make a statement and pack a punch (which in itself is a good outer confidence booster), but actually it has the ability to change our mood, change the outlook of our day and make us feel different. 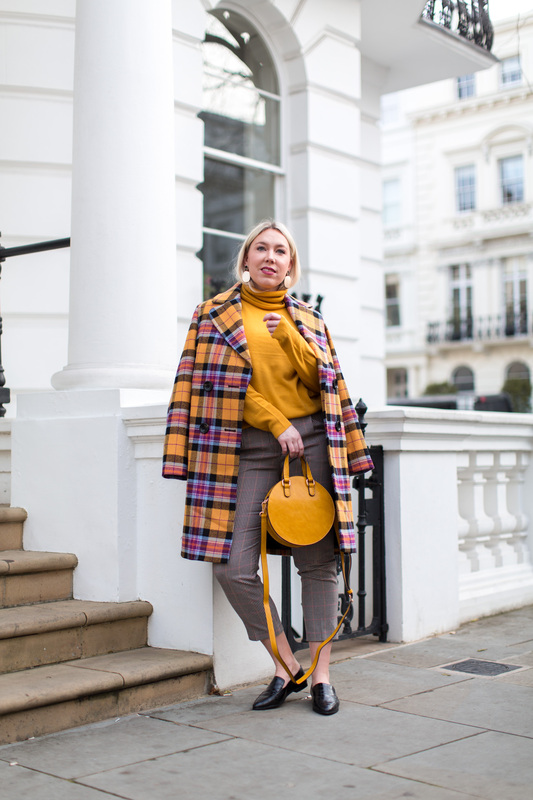 I’ve spoken about the power of the colour red (“when in doubt wear red”) a lot, most recently in this post here, but red isn’t the only colour that offers us something beyond a bold addition to your outfit. 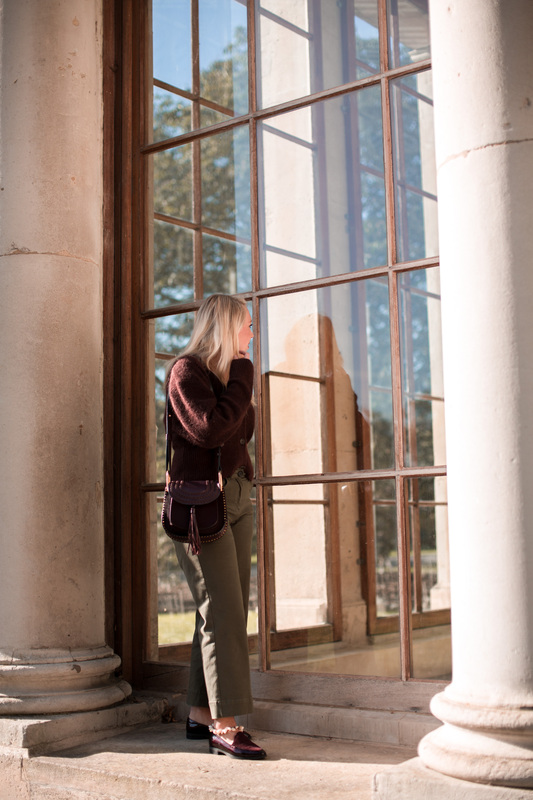 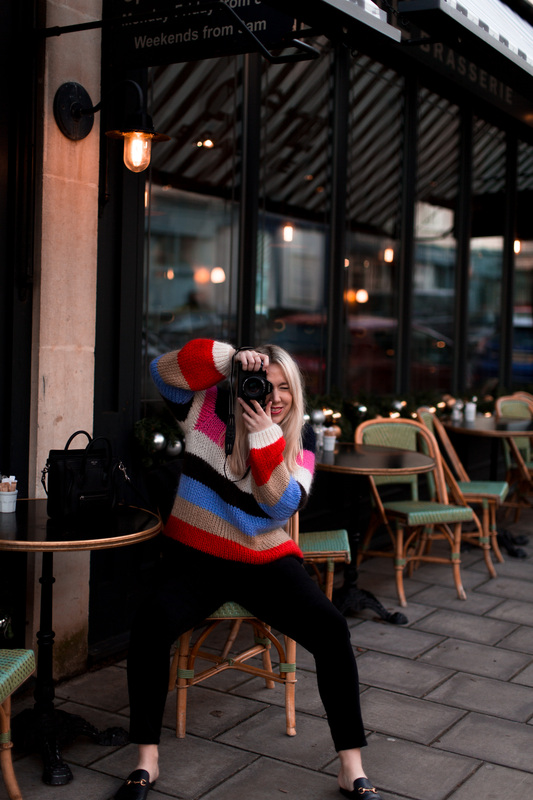 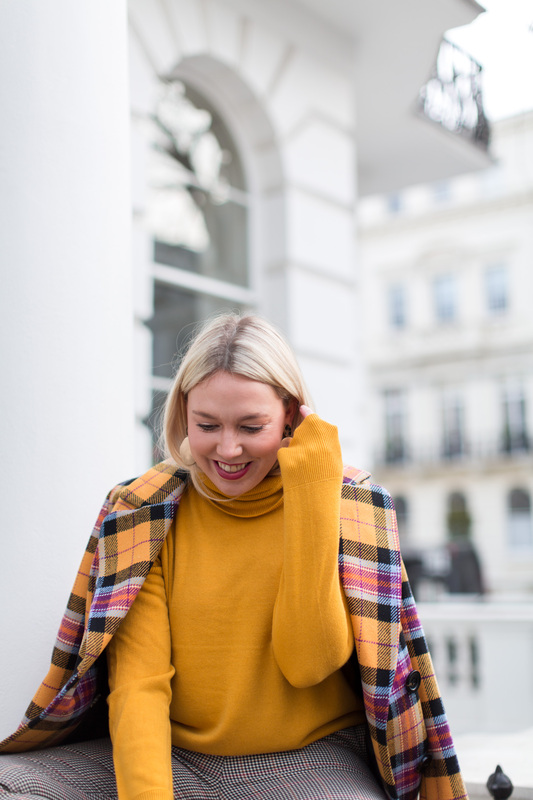 Colours signify and can make us feel a whole host of different emotions, and therefore using them to our advantage when we’re dressing ourselves is one trick I love to utilise. 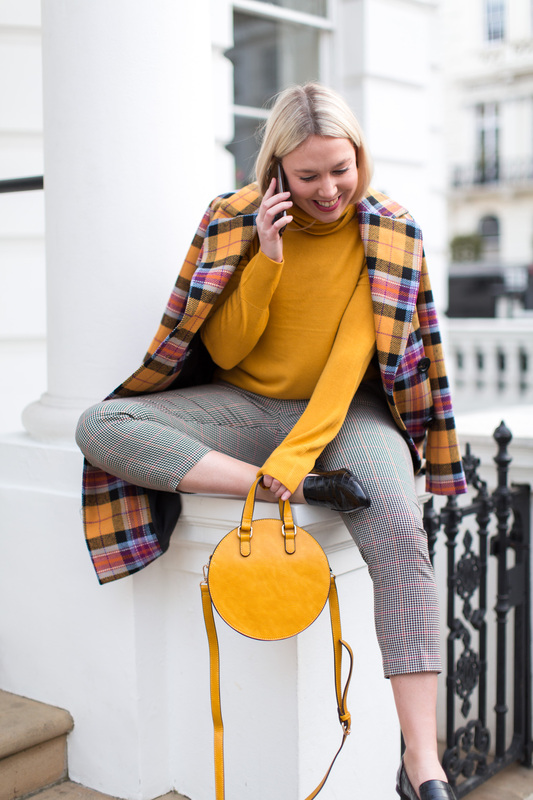 Let’s take yellow for example, inspired by today’s look featuring a few beautiful, bold, bright and colourful yellow tone pieces from Next’s workwear collection, yellow is a colour synonymous with happiness, enthusiasm, and positivity. 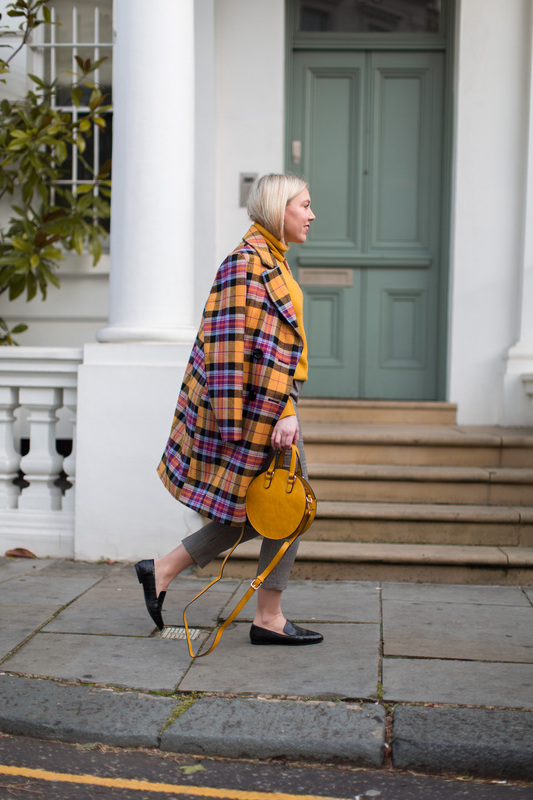 And guess what pals, all of those things exude confidence. 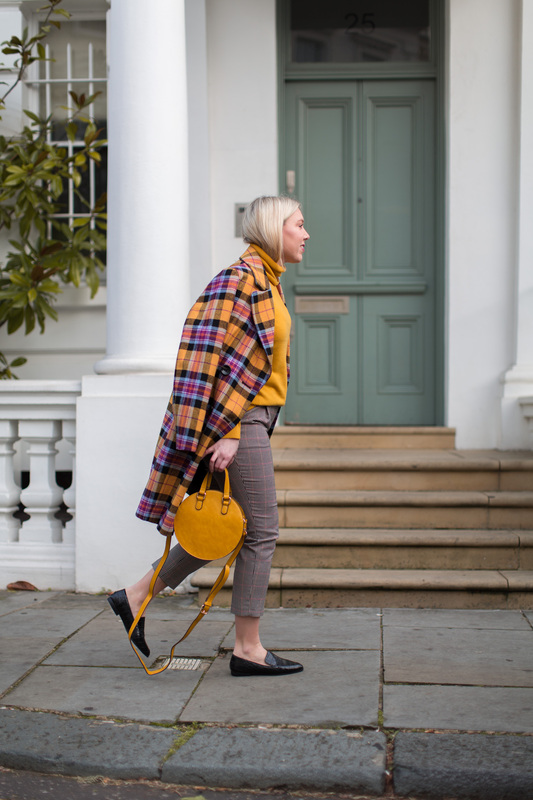 People who don’t feel confident often shy away from colour because it attracts attention and can be quite the statement, but flip that on its head, you can use colour to look confident and not just look it, but also to help you feel it too.
. 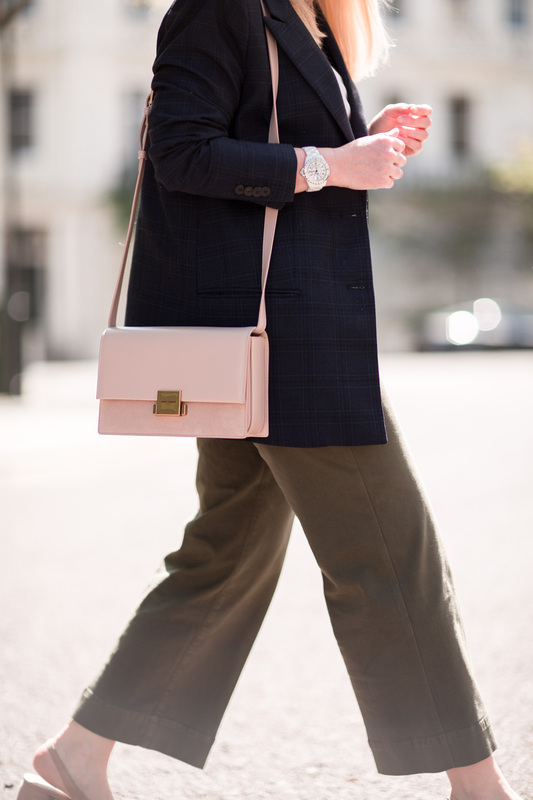 CHECK TROUSERS . 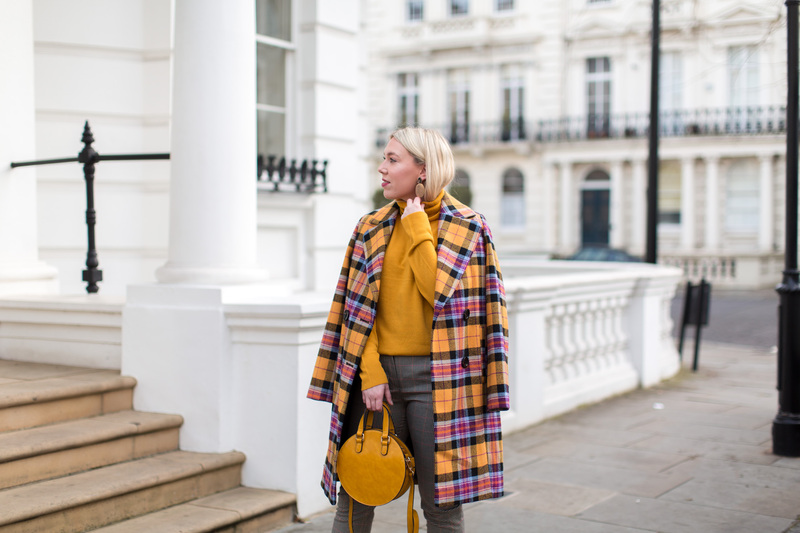 YELLOW ROLL NECK . 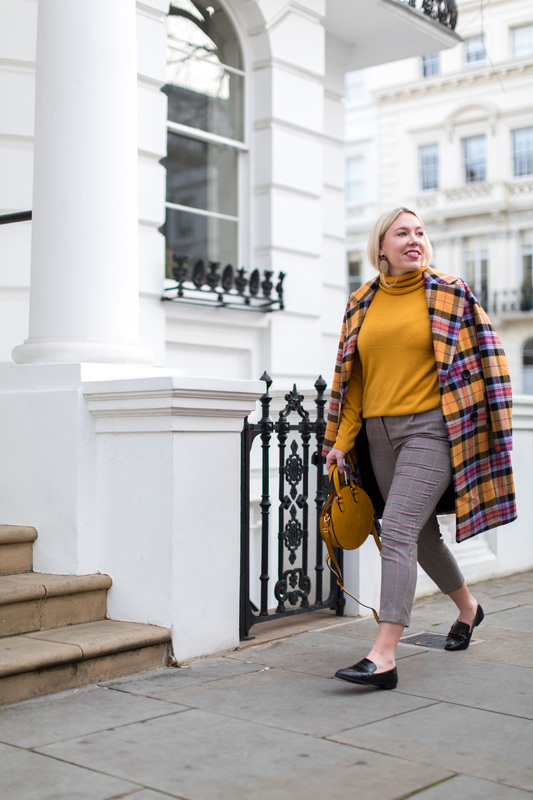 ALMOND TOE LOAFERS . 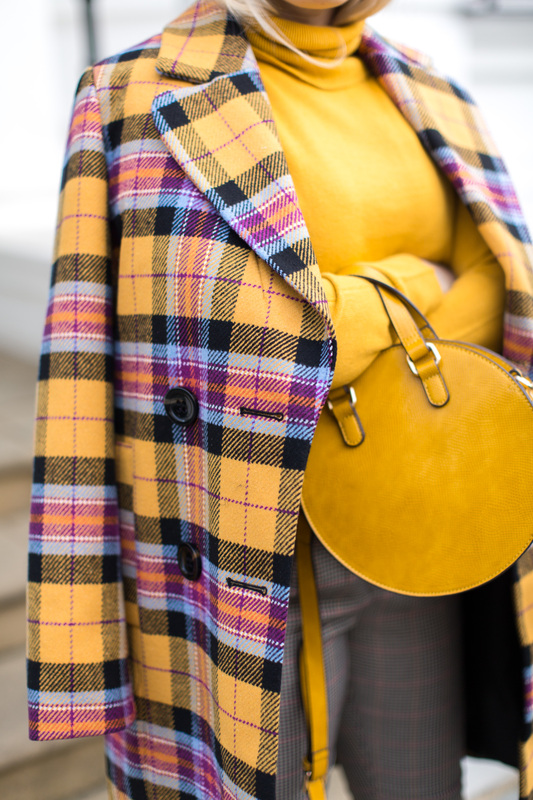 YELLOW FAUX LEATHER BAG . 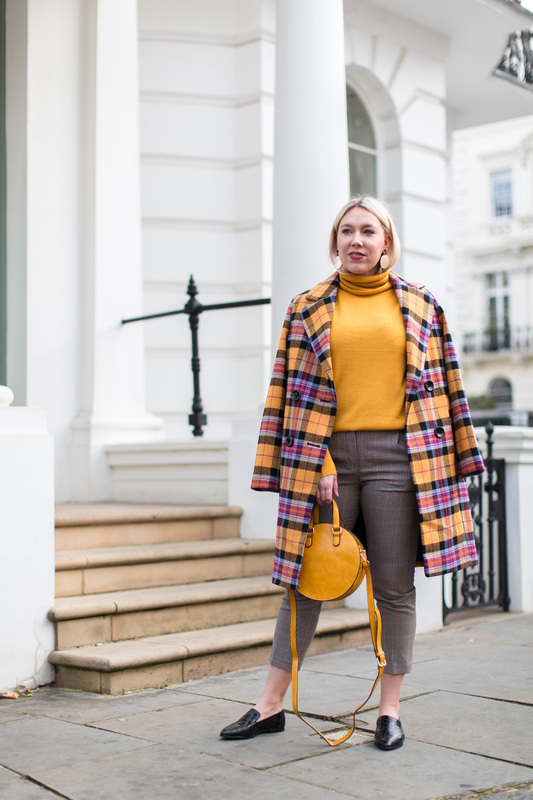 BRIGHT OCHRE COAT . 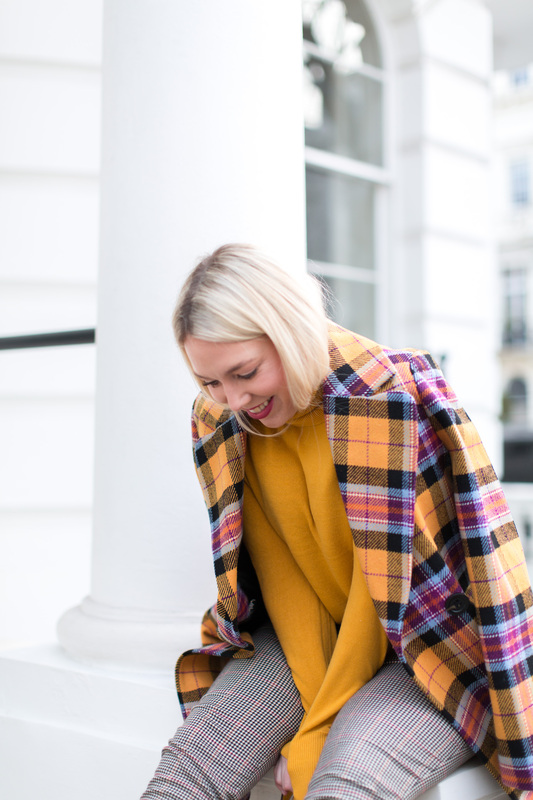 I for one have always loved colour and wear it a lot in my wardrobe. 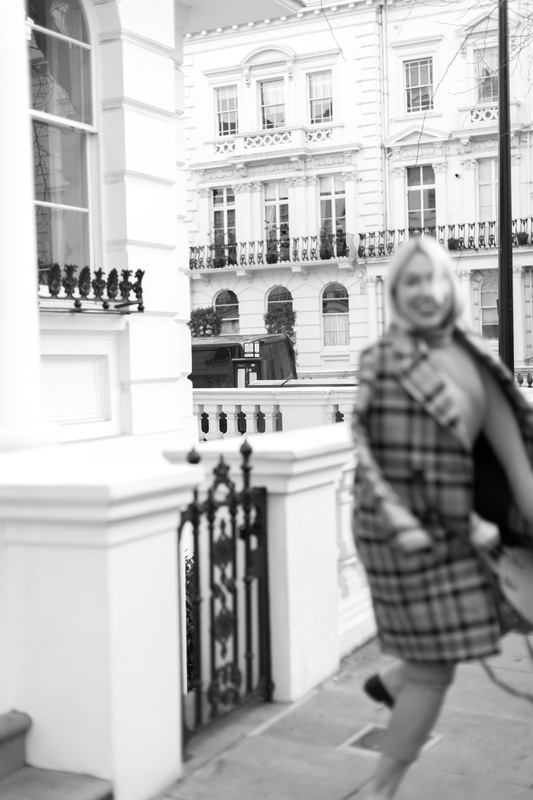 It’s not often something I do consciously, but it is something I know can not only give off a (good) vibe, but give me (a good) one too. 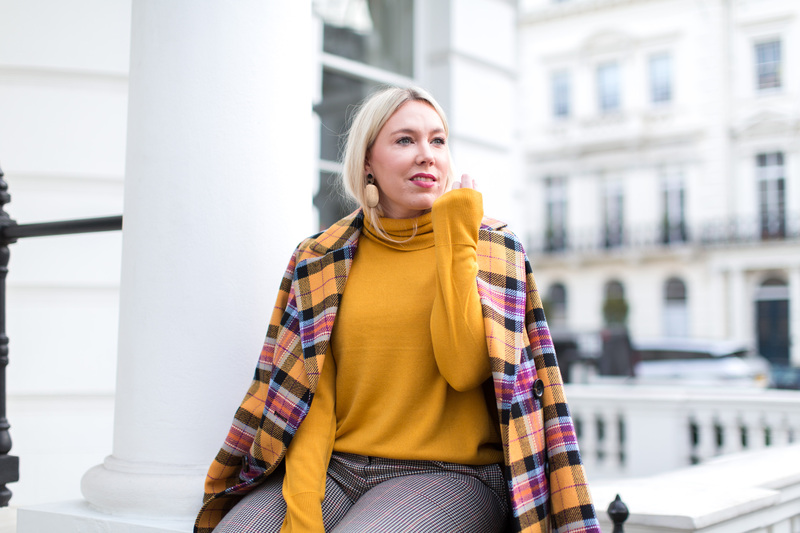 This look is a classic approach to incorporating bold colours into your outfit, and one I often rely on when I’m styling a look. 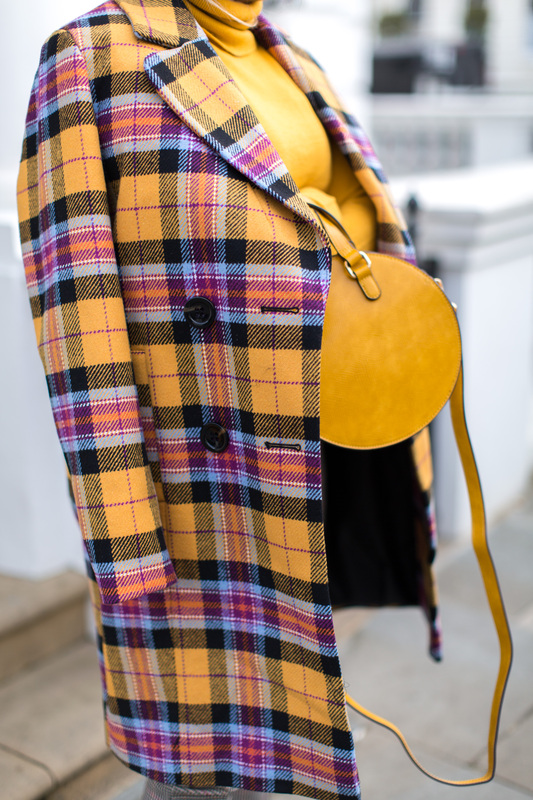 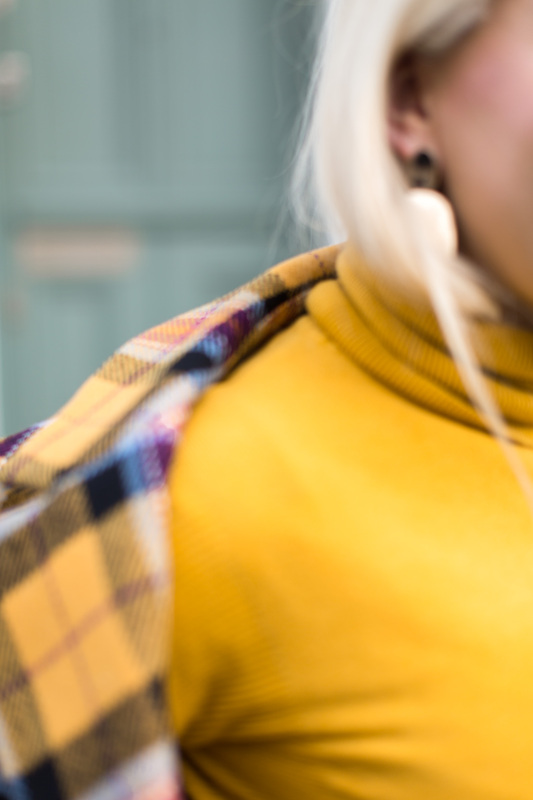 Outerwear and accessories are a really easy way of adding colour to your outfit in a less ‘intimidating’ way than rocking head to toe colour (albeit this itself can look incredible if you pick the right ensemble), this yellow check coat from Next whilst being bold in colour doesn’t feel overwhelming or difficult to style yet adds a wonderful vibrancy to the outfit overall. 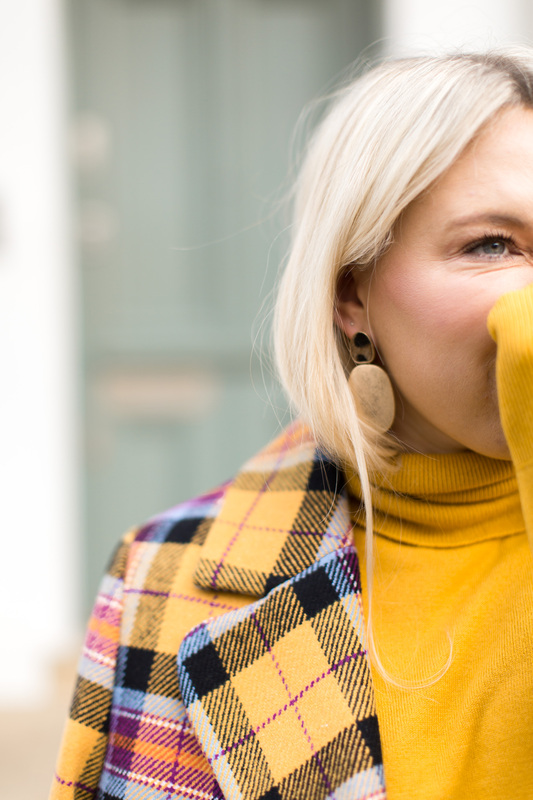 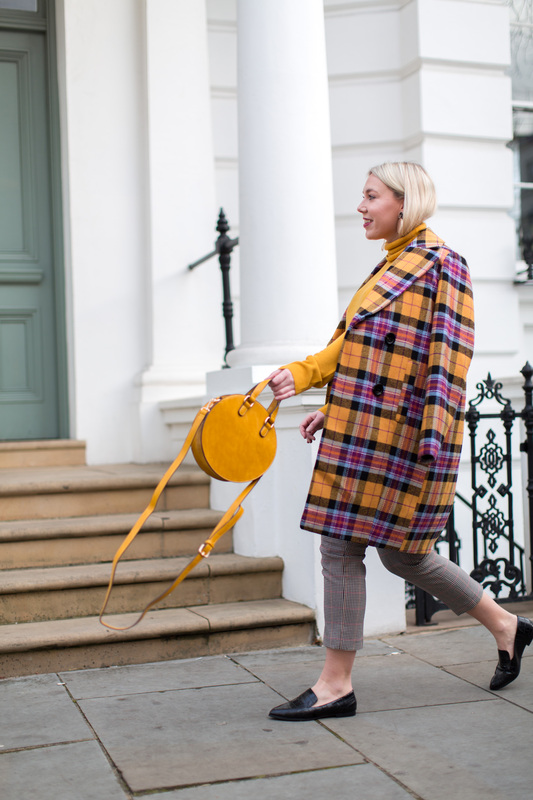 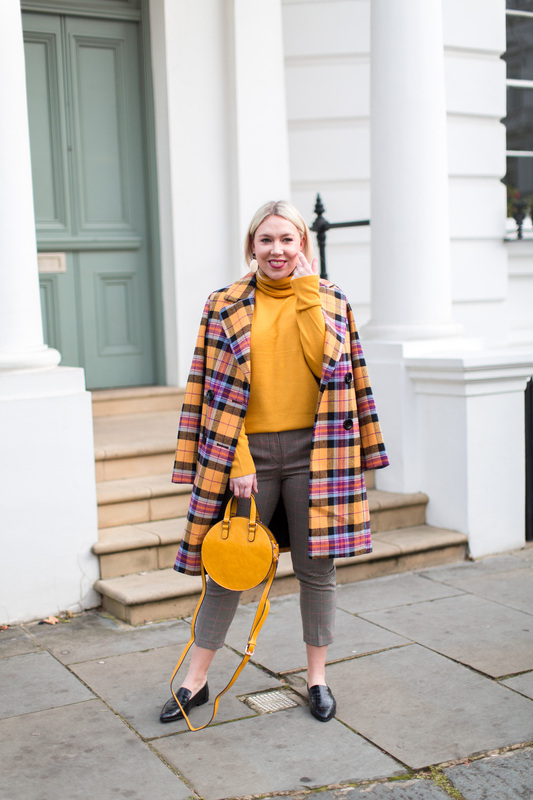 Picking up on the yellow tones in the coat, I’ve deliberately picked a bold and matching roll neck to team with the trousers (which if you look close enough you’ll spot also have yellow threads weaved in) as well as a fun yellow faux leather bag. 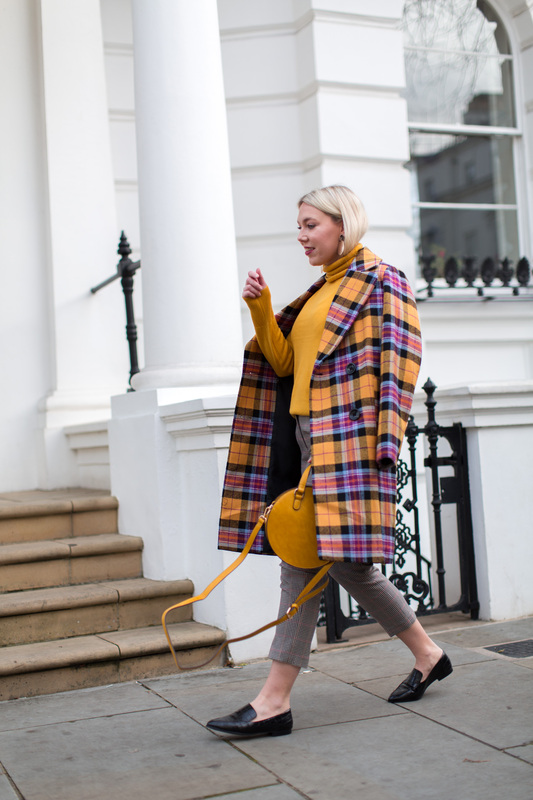 The beauty of this approach is the look doesn’t feel too yellow or too contrived, but the colour is woven throughout the look and overall creates quite a happy, positive vibe. 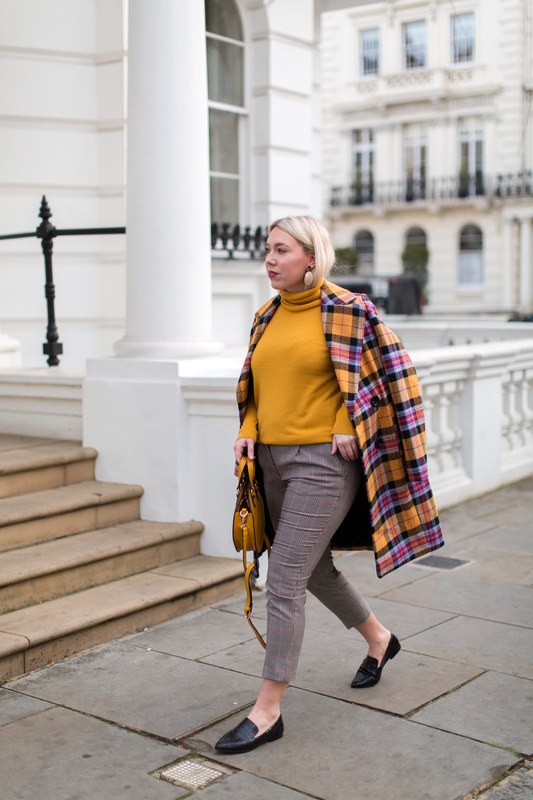 The outfit itself is a very undone approach to the ‘power suit’, but compared to my previous post, is kept more casual for an ‘everyday’ work look rather than a power dressing meeting, perfect for informal client meetings or days when you feel like you need an energy boost to tackle the day. 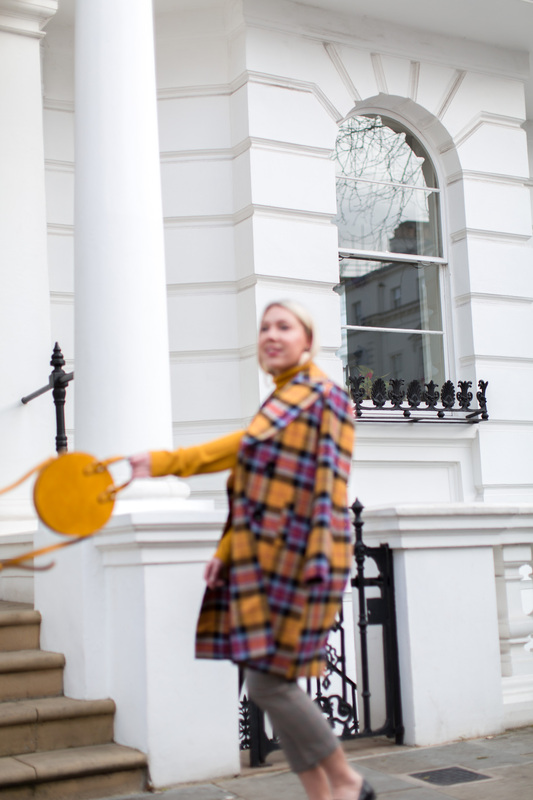 You can’t wear yellow without feeling happy, so not only does the look exude confidence because of its bold and statement colours, it also makes you feel positive, confident and enthused which is key for big work moments or important meetings. 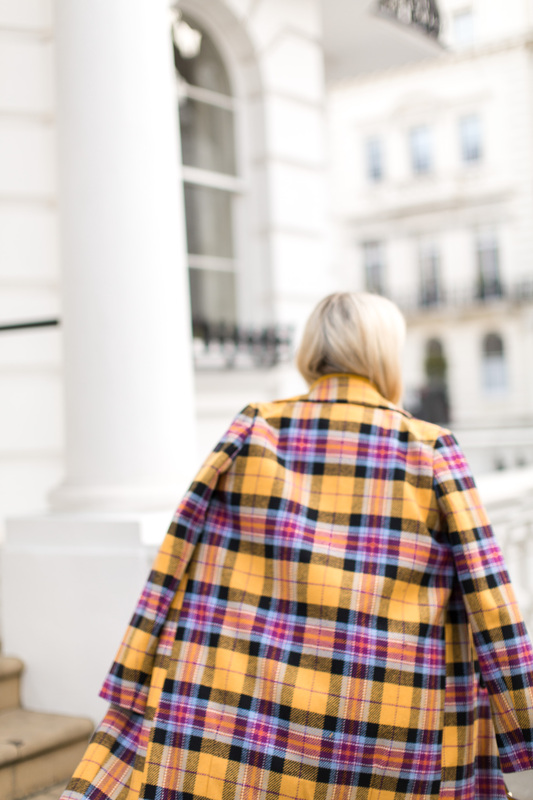 That coat needs to be in my wardrobe IMMEDIATELY – so gorgeous – I love it!! 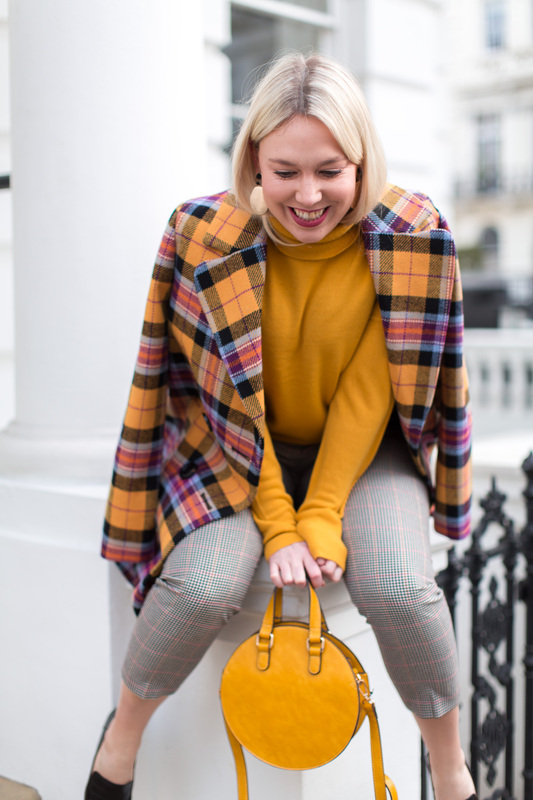 Ahhh I love the yellow on you!